Our clients benefit from a team with commercial roofing expertise that is aligned with the asset management strategies of today’s property owner. "We will do our best to earn your trust and confidence. When you give us your first project, you are giving us that gift based on your trust. We know that we have to earn your trust and confidence every day, on every project for as long as we can convince you that Commercial Roof Systems is your best option in the commercial roofing industry." "We will prove by our actions, not by what we say…but by what we do." Our dream was to build a simple business and make it great. Our partners all shared one common trait, “To be the best.” That means you have to be better than the number two guy. No excuses to each other; no excuses to our clients. 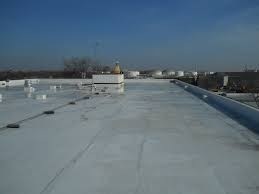 The execution of this simple idea is the foundation for building a great business in the commercial roofing industry. We focus our talents and energy in one area, commercial roofing. © Commercial Roof Systems. All rights reserved.